Golden-20L Binding Machine is a kind of high-tech product adopting adopting advanced computed control technology and integrating machinery with electron. LED display, automatically checkout the trouble, temperature and banding times, easy operation, artistic banding , high efficiency and low cost, solving the problems of tedious working which banding and stamping by hand for a long time past. 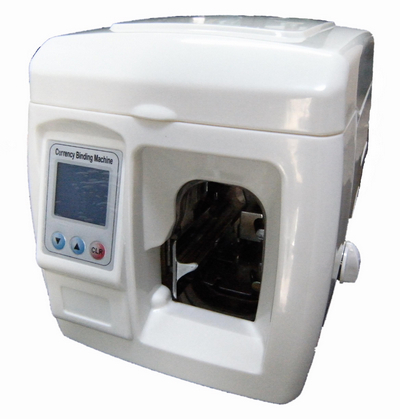 Quickly banding and stamping in one time, it is a kind of ideal machine foe binding banknotes in financial departments.